Here’s a quick tip to curb your appetite and reduce your cravings. It seems that snacking is always the death of any diet! I’m doing good, and then a craving comes and sometimes I cave in and I am like “Help”! Well I have found an unlikely veggie that can curb my sweets craving! Its SPINACH! If your goal is to lose as much body fat as possible, then you may want to start incorporating more spinach in your diet according to a recent study performed at Sweden’s Lund University. 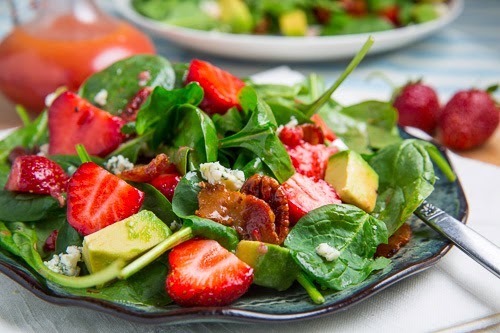 Researchers credit the increased weightloss to an overall decrease in calorie intake as a compound in spinach stems known as thylakoids has been shown to reduce hunger, particularly cravings for sweets and fast food, by up to 95%! Thylakoids work by slowing down the digestion process, giving intestinal hormones time to communicate to the brain that we are satisfied. Naturally, if you’re feeling more satisfied you won’t fall victim to regular snacking on all the wrong foods — and that means increased weightloss and a flatter stomach for you. 1. 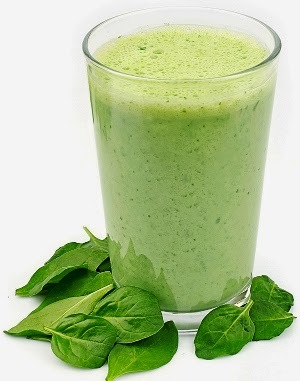 Throw a couple handfuls of spinach in the blender along with your next protein shake. While it may change the color, it has virtually no taste. 2. If you’re into juicing, add spinach to your next juicing recipe. 3. 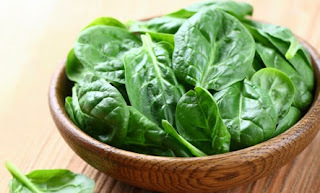 Enjoy a spinach salad or sauteed spinach as part of any meal.